Card games are fairly common on Steam and it’s difficult to spot those that are really interesting and well balanced. 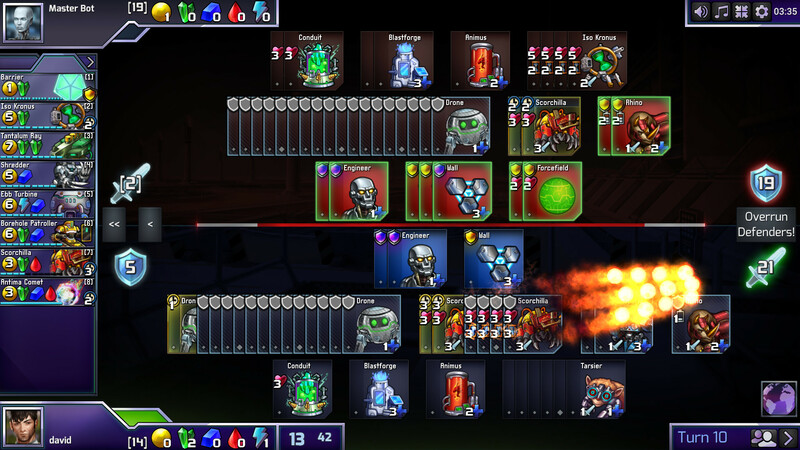 Lunarch Studios’ first game, Prismata, takes an unusual approach with its gameplay and mixes RTS and card game mechanics. How well does this combination work? Swade lives a boring life on a desert planet. In a sci-fi-universe, a mysterious virus contaminates robots on a desert planet, forcing Swade, a Swarmwielder (a guardian whose job is to control robots to maintain security) to fight them. You are going to fight cards, but unlike most card games, you will not have to build a deck. 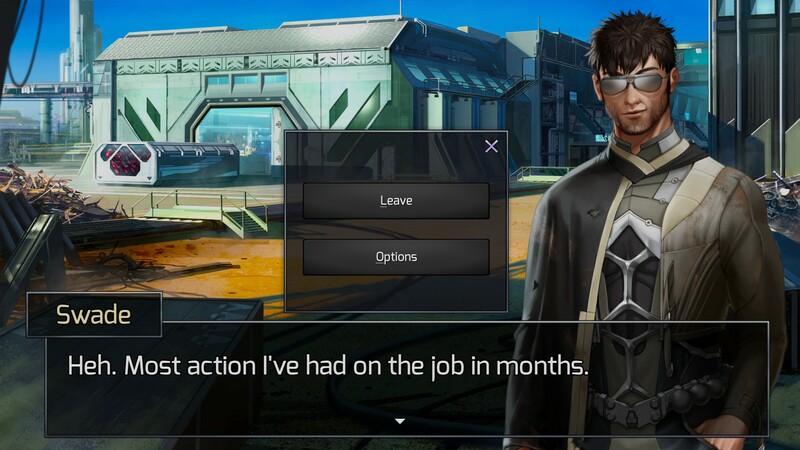 Instead, you will have to manage several types of cards which have different effects. You have three kinds of cards to fight: cards that block attacks, cards that attack the enemy, and cards which produce resources, like behemium, gold, energy or replicase. The key is to carefully spend your resources and choose which units to attack. Sometimes, it is necessary to sacrifice cards that produce resources or attack and use them as a defense. In fact, fights work a lot like puzzles, where you have to figure out the best way to defeat the enemy. For example, in one of the missions, you have to protect the Overheat Ray, a powerful card that can deal 30 damage but requires several turns to be activated. Choosing which cards will block the attack is essential. If a card has a defense of three and the attacking card has a power of two, it will absorb the attack. Drones can produce gold, but require energy, which only engineers can produce. Those are only a few examples of the possibilities given by the game, but the combination of all those cards creates a lot of strategies for the players. The game also offers a few challenges where the player has to win the game while satisfying specific conditions, like a limited number of turns. Progressing through the story unlocks units you can use online. The story so far seems to be quite classic but is entertaining enough to keep you playing, and the music, which serves more as a background element, is quite relaxing. 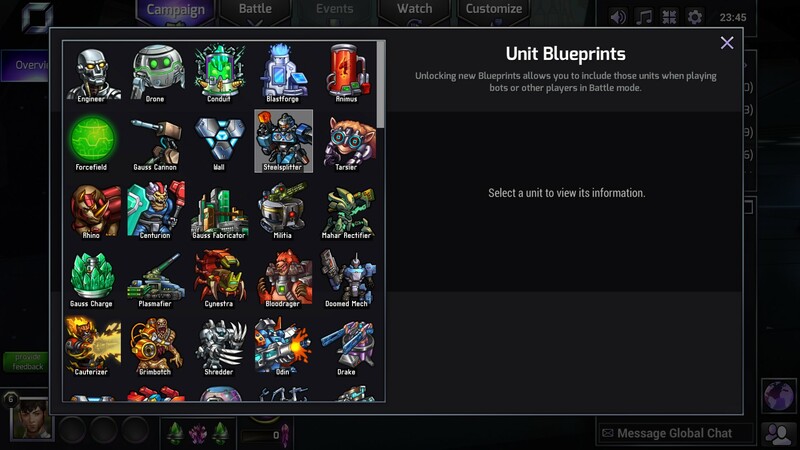 The possibility to play online against other players or AI also makes the game more interesting, as units obtained during the campaign can be used online. Note that some rewards can be obtained, but fortunately they are purely cosmetic and do not impact gameplay. It took me two hours to beat the first episode, and I will have to wait to play the rest of the story mode as episode two will only be unlocked in April. The rest of the content will be available at an unknown date. If you like card games but do not like building a deck, Prismata is the right game for you and relies purely on strategy and logic.